Director David Yates is a busy man. Not only is he in post production on his first post-Harry Potter feature, The Legend of Tarzan, but he also just completed production on Warner Bros. return to the wizarding world with the adaptation of J.K. Rowling's 2001 novel Fantastic Beasts & Where to Find Them. The book was published under the pseudonym Newt Scamander and purports to be Harry Potter's copy of the textbook that was on his list of necessary school supplies in Harry Potter and the Sorcerer's Stone. Our protagonist here is Scamander himself and given the screenplay was the first penned by rowling herself I'm assuming this is an original story that will give audiences insight into how Mr. Scamander came to be experienced enough to pen an entire textbook on magical creatures. Though we received a teaser for the film back in December that was purely to put something in front of Star Wars while this full trailer delivers a more immersive look into this new era of the wizarding world that we will explore. While this new film won't deal with "The Boy Who Lived" exclusively, the idea of being able to return to such a world, and in November no less, is something of pure bliss for my generation in particular. The look of the film is certainly engaging and the presence of both Eddie Redmayne and Colin Farrell, including his voice over, boasts the already mythical material that much further into the high pedigree range. In short, I can't wait to see what adventure this fresh perspective holds. 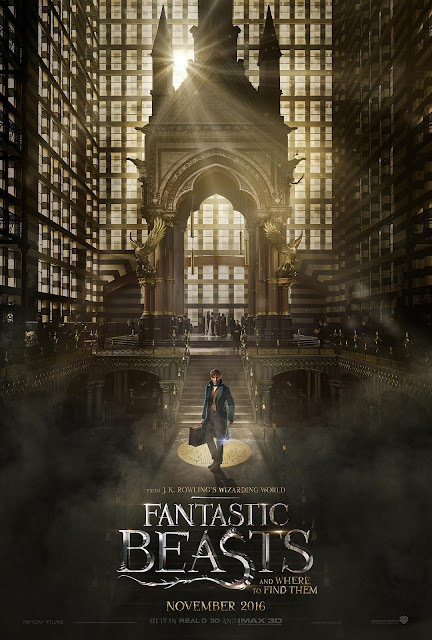 Fantastic Beasts & Where to Find Them also stars Katherine Waterston, Dan Fogler, Alison Sudol, Ezra Miller, Samantha Morton, Jon Voight, Ron Perlman, Carmen Ejogo, Jenn Murray, Faith Wood-Blagrove, and opens on November 18, 2016.